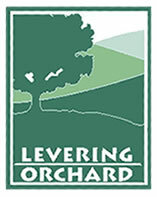 Welcome to Levering Orchard, celebrating its 100th year in 2008. In 1908, Ralph and Clara Levering, Quaker strawberry and sweet potato farmers in Tennessee, moved to the present site in Orchard Gap and started what was then an apple orchard. In 1939, their son, Sam Levering, moved to the orchard with his wife, Miriam, and family, and continued the orchard business. Sam and Miriam entered semi-retirement in 1986. From that year until the present, Frank Levering — the third generation — and his partner in orcharding, writing, and public television production, Wanda Urbanska, have continued the tradition. Once a renowned apple orchard, today Levering Orchard features 32 acres of cherries with an extraordinary 44 varieties to choose from — making it the largest cherry orchard in the South with the widest variety of offerings — along with apples, peaches, and nectarines. SWEET CHERRY PICKING begins Wednesday, June 6, 2018. However it is very possible that we will begin Saturday, June 2, depending on weather. We encourage you to call ahead as conditions change day-to-day on the orchard! Call ahead for availability – 276-755-3593 or 276-755-2224. SOUR CHERRY PICKING begins Thursday, June 14, 2018. For more info, call 276-755-3593 or 276-755-2224. FALL APPLES (estimated) begins Friday, September 15th, 2018 and last until mid-November or longer. We have a map and step-by-step directions to the Orchard. We encourage you to use our directions as Google Maps and Map Quest directions may not be ideal. Orchard Hours & Fruit Availability. Orchard Theatre! Apple and Peach Availability, Orchard Hours, and More! Orchard Theatre Schedule and Upcoming Events!